LSD is a psychedelic drug that was synthesized in the 1930s by a chemist named Albert Hofmann. Today, it is a street drug that people take in order to have an “out of this world” experience. Users may experience open and closed eye visuals, hallucinations, and a distorted sense of time. LSD is not considered addicting. Though people may enjoy taking it, they generally do not feel an extreme compulsion to take the drug like those who use heroin or cocaine, do. However, this isn’t to say that it can’t be psychologically addicting. Some individuals enjoy LSD so much that they use it often. Often, in terms of LSD use is generally about a couple of times per week. Though LSD is not addicting in the traditional sense, it is possible for individuals to abuse the drug. 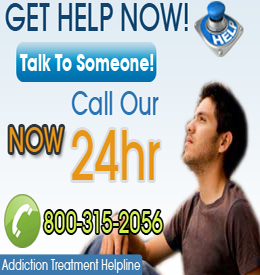 For most persons, it is not necessary to enter drug rehabilitation for LSD abuse. Most people are able to stop using it on their own. However, not everyone will. Heavy users may find it necessary to get counseling so that they can gain some insight into why they use LSD so much. This might also give them the opportunity to work with a counselor in order to come up with strategies to avoid and/or stymie their LSD use. This could take the form of traditional counseling or outpatient drug rehab. Individuals who find that they have absolutely no control over their LSD use may opt for inpatient drug rehabilitation, though this is extremely rare. Individuals that abuse LSD may need some type of intervention. Whether or not this will require drug rehabilitation will be up to the user. Some people may find that it this necessary but most won’t. Drug rehab for LSD isn’t typically the norm. Most people are able to stop using on their own and LSD isn’t one of those drugs which are “optimal” for addiction. Sometimes it works, other times it does not. It’s not exactly dependable. Addicts typically like drugs which are able to consistently deliver a high. It is very easy to develop a tolerance to LSD. When this occurs, individuals need more of the drug in order to get high. Sometimes a person will have to wait a week or so before they are able to experience a high. This makes it harder for persons to develop an addiction.